If you consider the hedge trimming an overwhelming task or you just don’t have the right tools or time to catch up with the rapid growth of the hedges, call us now. Whatever your reason is, we are always ready to give you a hand with the hedge trimming and the other important gardening tasks and diligently perform them on your behalf. Our company operates in Kensington W8 every day, bank holidays included. Here are a few solid reasons why entrusting us is the best decision you can make regarding your garden and the landscaping issues in general. 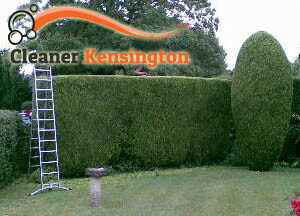 Our company is focused on providing an extensive range of gardening services, including hedge trimming. Apart from maintaining the landscaping of your property in a great condition, the proper and timely trimming promotes growth and ensures the healthy state of your hedges. We are committed to achieving results that exceed the expectations of our customers. That’s why our employees go through thorough training procedures before joining one of our gardening teams. As for the prices, we are happy to say that the services we provide are budget-friendly and you are not likely to find a better bargain deal. You can arrange our gardening team for a one-off hedge trimming or book for regular maintenance of the garden at your home or commercial property. 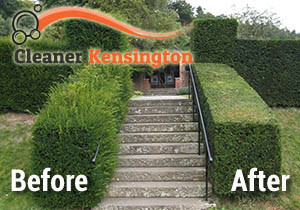 Once the hedge trimming procedure is completed, the waste will be disposed and you will be able to enjoy the beautiful forms our experts have created. Don’t postpone any of the important landscaping projects. Especially if you can rely on our professional interference at any time. We cover W8 every day for your convenience. Feel free to contact our call centre operators now and get more information as well as an instant free quote.